Taking on Zeus? That’s no big deal for the Winchesters. 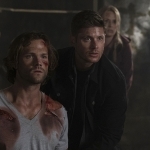 This week we got to see Sammy’s health deteriorate a bit, a couple of gods getting violent, and Dean’s prayers going unanswered. They’ve seen it all, but there’s still a whole lot of unknown coming down the line. My one feeling, as I finished this episode, was that the boys are well-lived. Not old, necessarily, or even tired, but just well-lived. They’ve made it through more weirdness than anyone could count, taking down demons and monsters, dealing with the end of the world, and even dying a few times apiece. So when they’re faced with Prometheus and tasked to kill Zeus? 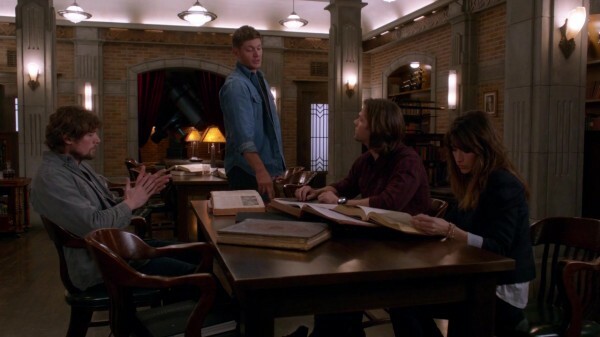 Sam and Dean acted like it was all in a day’s work. I mean, I guess it is, but acting a little bit surprised or awed wouldn’t hurt them. The case itself started off in fine Supernatural fashion, with a bird picking apart the insides of a dead guy. Ah, how I’ve missed the gore of yesteryear. I have to say, though, that lately the one-shot law enforcement characters have seemed to steal the show. First we had the sheriff in “LARP and the Real Girl” and this time we got the trooper who was pretty set on the answer being zombies. He even gave the boys a few tips on how to take out the supposed undead creature. I love it when the secondary characters have great lines and great personalities, even if we only get to see them briefly. It was interesting how the mythology of Prometheus and Zeus was tied together for the storyline, and giving Prometheus amnesia did well to set up the protection dynamic that he would be forced to take part in because of his previously-unknown son. He had unknowingly passed down his curse of repeated death and reanimation to Oliver, so he was no longer alone in his plight and could not just walk away for the good of others. However, I would have liked it more if Prometheus actually cared a bit about this boy. It felt like Dean had to force him to make the right choice, and even then he could walk away knowing the Winchesters would continue the fight in his absence. He was also very quick to accept the god-theory as the reason he keeps dying and coming back to life. As if there was no other explanation whatsoever, that’s the one he latches onto as being logical. At least his former lover had a bit more reservations about the whole mess. She seemed like the only sane one in the bunch. And of course the boys save the day and help take down Zeus like it was nothing. There’s no drama in this anymore, no peril. At least put the boys in a little more mortal danger before they take down a god. The Winchesters had their own bit of drama to deal with one on one, or in their own separate corners as the case may be. We learn that Sam’s health is depleting and he’s still bleeding from the mouth. Does he tell Dean this? No, he does not. Instead, he keeps it a secret for his brother’s own good and distracts him with news of a case. While I am all for seeing the boys being domestic with their coffee and dead guy robes, hanging out at the bat cave, this continued secret-keeping on the part of Sam is sure to backfire on them soon enough. He’s even coming to realize that, for all his intentions not to die, the trials may kill him. It’s Dean who has to be the cheerleader, urging him on and making him stay positive. Then we’ve got Dean in his room, praying to an angel that’s MIA, because he needs someone else to assure him that Sammy will be kept safe. 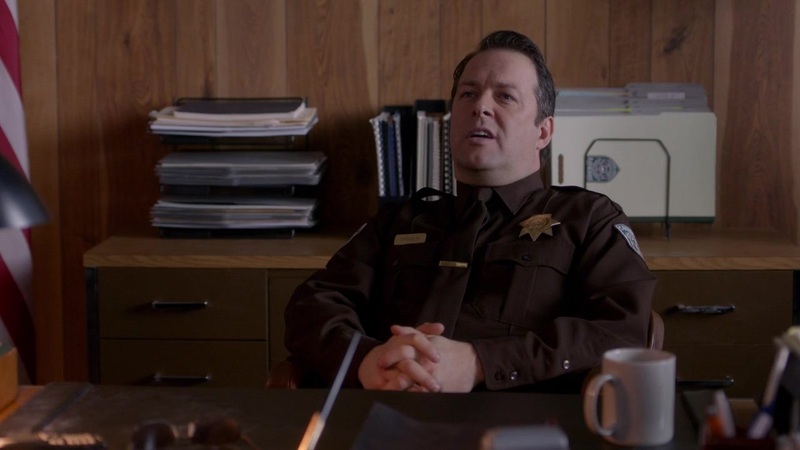 But Cas isn’t there, no one’s there, and Dean’s on his own without a clue how bad it really is. 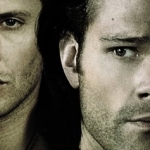 It makes me sad for both Sam and Dean because it’s sure to get a whole lot worse. So, what did I learn in this episode? 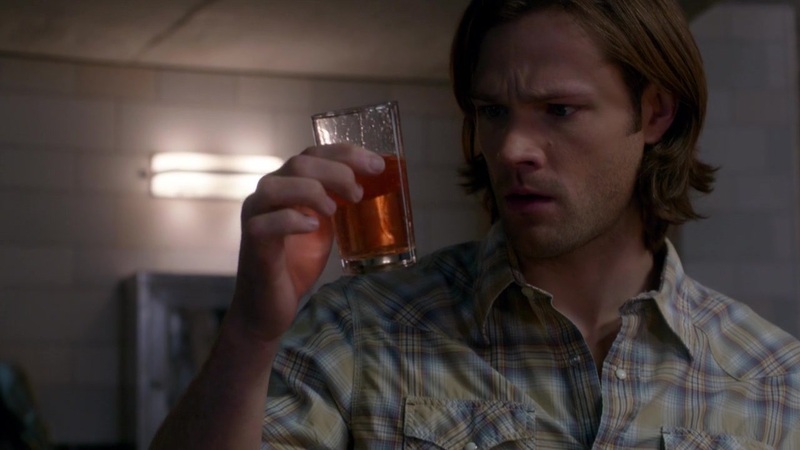 Well, for one thing, Sam knows way too much about mythology. Maybe he’s putting the bat cave library to good use. I mean, they do have a pretty sweet collection there. And I learned that Dean’s just as dorky as always, promoting his and Sam’s legacies as Men of Letters, the last of their kind, pretty big deals. Even if no one else was impressed, I got a little chuckle out of it. Finally, I learned that the boys need to be faced with something bigger and badder, apparently, because killing gods just doesn’t get their energy flowing like it used to. A comment, a feeling of “maybe we’re in over our heads on this one,” anything would have been preferable to the nonchalant manner in which they approached this case, to me. I thought it was pretty awe-inspiring that they got to meet up with Prometheus and Zeus, as well as Artemis, even if the Winchesters saw it as just another day at the office. Maybe demons and angels and tablets are more their speed now.